I take the blame for my boys’ sudden need for Claritin. First, after 2 wins and a 2nd place finish in the 3 Prelims we ran over the fall, I moved him up to Intermediate in November. The Big Move-Up was scheduled to happen at Middleburg HT in September, directly after the American Eventing Championships, but neither of these things happened due to a stifle injury sustained in the paddock with his girlfriend. (We didn’t ask questions). Once it healed up, Baby P rocked his way through those Prelims, and after the win at Paradise, the idea of depleting my year’s competition money with an end-of-season move up at Rocking Horse started to make sense. Last time we went to Florida, Pirate won the Long Format Three-Day in Ocala, so before allowing thoughts of fuel prices to overwhelm me, I e-mailed Nancy Russell and begged acceptance of a late entry. And the next thing I knew, Pirate, Vin Diesel (my truck, which hit 300,000 miles in August, thank you very much!) and I were headed south, with Momma Briggs and Daddy Bill for company. Mom, our number one supporter/groom/cheerleader, rarely misses an event, but Dad…ummm…well let’s just say that at the 2nd fence on our course walk, he told me I should “skip that one,” if that gives you an idea. (By the end of the walk, he was asking a friend of mine if it was possible for us to jump ANY, much less all, of those fences, and calling Grandmother Briggs to tell her he feared for my life…which led to the ultimate Christmas present: one of those cool blow-up vest thingies). And so, with that strong 4th place finish (I know it was nearly 2nd, Pirate – I pulled those rails, dear, not you! ), we END our season just when Pirate thinks it’s starting to get FUN. And worse yet, due to my lack of arena (we school in his pasture) and the rather wet winter we had here in Charlotte, we barely did anything all winter but school on the flat when footing allowed, and trot. Trot, trot, trot. If I have ever met you in my life – even if it was for 5 minutes at the tack shop last summer, or once at a steeplechase 2 years ago – chances are you got asked on a trotting date. Even with me for company, Pirate gets awfully bored on trot-sets, and as for me…well…when left to my own devices, I tend to turn a trot-set into an adventure through the woods searching for something, ANYTHING, to jump. At least company helps keep me in check…some of the time, at least. But I digress. So can you really blame the guy? Pirate, after ending his last season on such a high note, is ready to have at it again. He’s had his taste of jumping by now and can think of nothing else. We’ve done a handful of jump lessons, galloped with a proper racehorse, and popped around a couple events to get us awake and sharp for what lies ahead. The Big Stuff. Baby P is ready to take the “Baby” out of his name – he’s a big kid now, remember? So come April, when you hear us snorting and sneezing our way up centerline, forgive us; it isn’t his fault, and after all, it IS springtime. Just say, “Godbless you, P!”, and then look for the purple and gold on cross-country day. I promise our allergies will have disappeared by then. Posted in Blog and tagged with 3 Day Eventing, American Eventing Championships, Cross Country, Dressage, Equestrian, Eventing, Horse, Horses, Intermediate, Kelsey Briggs, Off Track Thoroughbred, OTTB, Paradise Horse Trials, Rocking Horse Horse Trials, Show jumping, The Fork Horse Trials, The Gentleman Pirate, United States Eventing Association, USEA. RSS 2.0 feed. Love the website, Kelsey (Thank you, Jamey!) 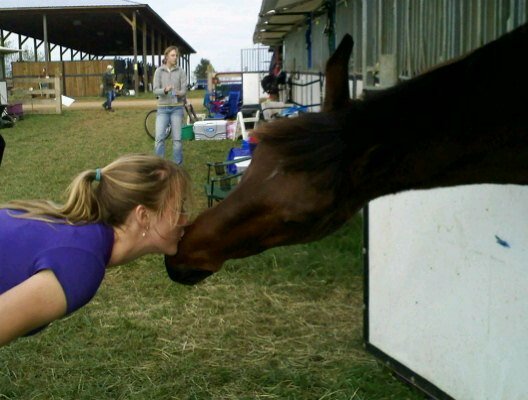 – Rasta has HORRIBLE sneezing, snorting fits right now (wierd, but he doesn’t do this in Aiken…???). Not fun when he pulls me out of my saddle as he blows the yellow crap out of his nose…glad it’s not in the middle of an Intermediate dressage test – hahahaha. Love Mr. Big, sneezy nose and all. 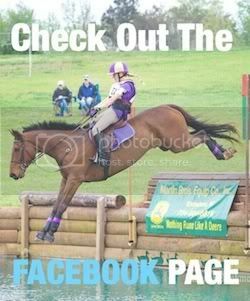 good luck in all your events and can’t wait for more on the website – you write as well as you ride! Love the website Kelsey! You guys are doing a great job with it. And the previous comment is right – you do write very well! Looking forward to hearing more adventures!